The USCIS began accepting H1B visa applications for the coming fiscal year on April 2nd, 2018. In less than a week, the US Citizenship and Immigration Services said that it had already received over 65,000 visa applications. Today, the program is not only the most popular route of getting to the USA but also the most highly debated. While some claim that these visa holders give America an advantage in terms of innovation and technology, others claim that they displace America workers. 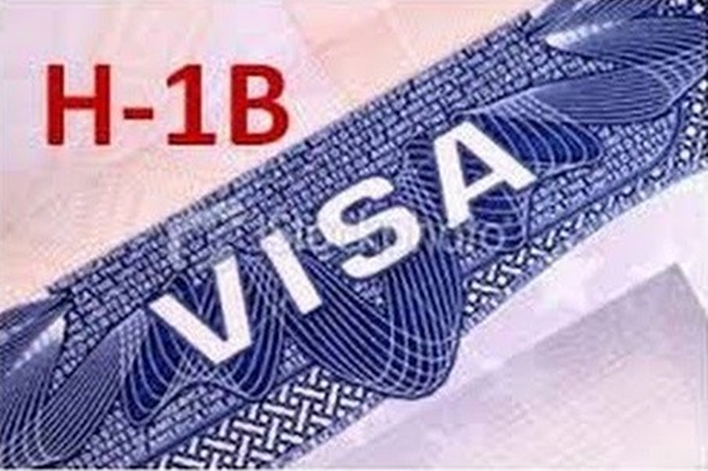 What is the H1B visa program? It is a nonimmigrant visa that allows highly skilled individuals to live and work in the USA. To be eligible for this visa, the applicant must have a Bachelor’s degree or its equivalent and an offer of a full-time job in America. If approved, the applicant and his immediate family may move to the USA for three years extendable to 6 years. The applicant’s dependents are granted an H4 visa. One of the reasons for the H1B visa’s popularity is that it also allows visa holders to apply for permanent residency in the USA. Do all applicants get the visa? Each year, the US government issues only 65,000 H1B visas. To apply for this visa, an applicant must be sponsored by a company in the USA who will file a petition on his or her behalf. Contrary to popular belief, not all H1B visa holders work in the technology sector. More than 80% of the H1B visa recipients are from India. This makes Indians the top beneficiaries of this visa program. China is a distant second. The average compensation in 2017 for these visa holders amounts to $92,317 with most visa holders earning between $50,000 and $75,000 annually. Cognizant Technology Solutions was the single largest sponsor for H1B visas in 2017 with Infosys and Tata Consultancy Services (TCS) coming second and third respectively. Given that all three companies have a large presence in India, changes to the program policy could have a large impact on Indians applying for this visa. Check out the below video. Why the US Companies Getting More Approvals? One of the reasons for the drop in the number of H1B visa petitions for Indian tech companies is the shift towards digital services. Indian tech companies have concentrated more on artificial intelligence and cloud computing services that can be automated and require less human resources. The new USCIS policy on H1B visa petitions has also made these companies rely less on immigrant workers and hire more local talent. When it comes to US tech companies, the increasing number of H1B visa petition approvals has been directly proportional to their Research budget. The number of H1B visa petitions approved for Amazon increased by 1099 in 2017 as compared to 2016. This also reflects the company’s growth in the USA. Analysts also say that the rise in the number of H1B visa petition approvals for these tech giants could be a result of the drop in H1B visa applications from smaller tech companies. Fewer visa petitions increase the chances of approval for the submitted H1B visa petitions. What is the Impact of the H1B visa on Americans? It is hard to classify the impact of the program on Americans as good or bad. On one hand, some studies show that it has immigrants with this document have boosted the American economy and driven innovations. These immigrants have also had a positive effect on profits by lowering prices and increasing output. Many immigrants with the document also help fill up positions of doctors and teachers in rural America that have difficulty recruiting Americans. However, on the flip side, this visa program has also been greatly misused. As a result, many people claim that it has reduced job opportunities for American citizens and driven down wages. In a highly publicized case in 2015, American employees of a well-known company lost their jobs to immigrants and were told to train them in exchange for a severance package. What are the Changes being brought in? Tightening the regulations on the H1B visa has been on President Trump’s agenda since the beginning of his election campaign. In an effort to keep the program from being misused, a number of changes have been introduced to the application process. The documentation and paperwork required for the H1B visa application have been made more detailed.Instead of granting visas for 3 years at a stretch, many applicants may not get shorter visas for only the duration of the project they are being hired for. A shorter visa may, in turn, make it more difficult for immigrants to apply for a Green Card. The minimum wage for the document is also likely to be increased. The extension of the program has also been made more difficult. This will in particular affect immigrants who have temporarily been out of work. President Trump has also said that he would like to replace the lottery system with a merit-based system to ensure that only the most skilled immigrants are granted H1B visas. Dependents of the visa holder who is on the Green Card route are allowed to apply for a work permit and take up full-time or part-time jobs under the current rules. A proposal has also been put forward by the Trump administration to rescind these work permits. This could make the USA less attractive for working immigrants as their spouses will no longer be able to contribute to the family income. How Can These Changes Affect America? The changes to the program will definitely make it harder for immigrants to move to the USA. However, it may also have a negative effect on America. Firstly, as a result of the changes to both the H1B program and the H4 visa work permits, America may not seem as attractive as other countries. This may reduce the talent influx and slow own the rate of innovation. It could also result in a drop in the number of international students coming to America. Thus, though the policy may be beneficial for America in the short term, its long-term implications may say something different. What Are The Common Reasons For USCIS Issuing An H1B RFE?